When I first interviewed Naomi Kawase in 1998, after she won the Cannes Film Festival’s Camera d’Or award for her first feature, “Moe no Suzaku” (“Suzaku”), I remarked on her “quietly stubborn determination” to persist in the face of various detractors. If anything, criticism has increased in the intervening years. Feminists have attacked her for making apolitical personal documentaries, and her fiction films are favorite pinatas of critics voting in the annual edition of Eiga Geijutsu magazine’s “Worst Ten” poll. 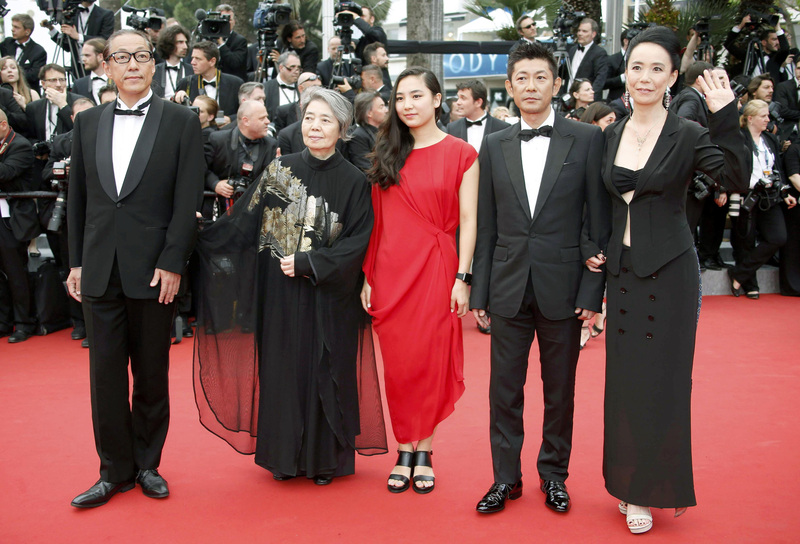 At the same time she has garnered many awards and honors here and abroad, including seven invitations to the Cannes festival — the most of any living Japanese director. The reception for her latest film, “An,” exemplifies the sort of extreme reactions Kawase inspires. After more than two decades of making movies based on her own themes and scripts — often reflecting her own life experiences — she chose to film the work of another writer, longtime associate Durian Sukegawa. She is aiming for a larger audience with the story of an elderly woman with leprosy (Kirin Kiki) who has suffered lifelong discrimination but quietly perseveres and gently inspires those around her, beginning with her talent for making an (red-bean jam). The critics at Cannes, where the film opened the Un Certain Regard section, either praised it for its spiritually uplifting humanism and awe-inspiring eternity-in-nature visuals (especially if they happened to be French) or ripped into it for its soft-centered take on a soap-opera-style story (especially if they happened to be British, American or otherwise writing in English). Looking elegant in kimono prior to a screening of “An” at Tokyo’s Meiji Kinenkan event hall, Kawase told me that the French reaction “was not so different” from reactions to her previous films at Cannes. “A number of other media outlets said it was ‘too simple’ — there was more of that sort of criticism,” she adds. “But I feel (“An”) is necessary in order for me to take the next step. Of all the films I’ve made to date, this is the one with the biggest scope for a release to the world at large. I want my next film to also reach as many people as possible. We’ve started to sell to North America and other places where we’ve never sold before,” she says. The thought that “An” might work with an international audience struck her when she first read Sukegawa’s novel. “I felt it could communicate across borders to many and various types of people — it has that kind of universality,” she says. The problems faced by Kiki’s character, Tokue, are hardly limited to Japan — from the leprosy that has effectively excluded her from general society all her adult life to the ageism she encounters when she applies for a job at a small dorayaki (an-filled pancake) shop run by a quiet ex-convict (Masatoshi Nagase). Kiki, a veteran 72-year-old actress whose recent films include 2013 Cannes Jury Prize winner “Soshite Chichi ni Naru” (“Like Father, Like Son”), was the only choice for the role of Tokue. The film’s three lead actors — Kiki, Nagase and Kiki’s real-life granddaughter Kyara Uchida — faced some unusual challenges on the set, such as Kawase’s decision to isolate them from the media and even their own managers. “They were actors who understood what I wanted from the beginning, so we were able to make a good film in a good way,” Kawase explains. Harder, however, was the task of filming with new staff in Tokyo — an unfamiliar location. The resulting film is extraordinarily beautiful, in which Tokue finds a kind of communion with the natural world that feels mystical, if not conventionally religious.